Headed home from your favorite knitting seminar? Airplane air conditioning hurt your ears? 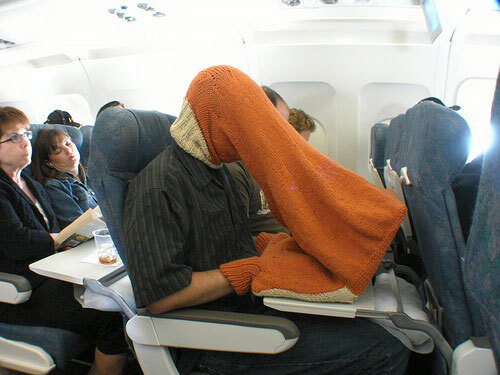 Knit yourself a Compubody Sock for in flight comfort and privacy. No more worries about that pesky seat mate leaning too close to watch your movie. Just make sure to use wool when you knit a Laptop Compubody Sock. Battery overheating won’t melt the fiber.